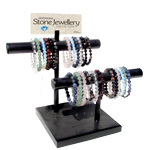 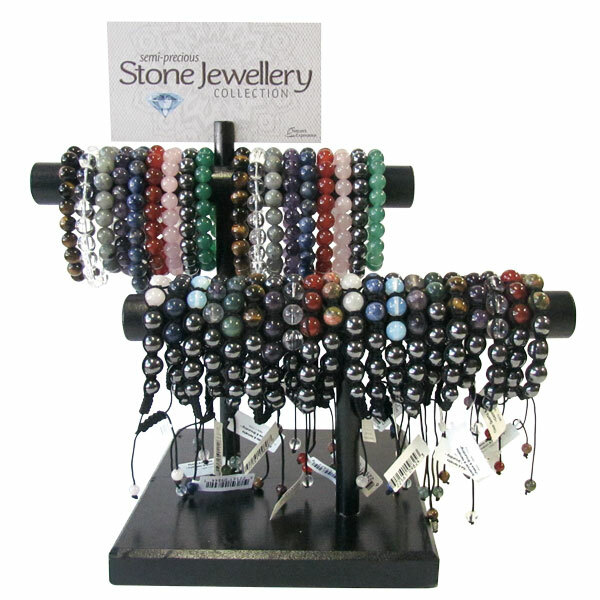 This two-tier handmade wooden display features two styles of bracelets made from polished gemstones. 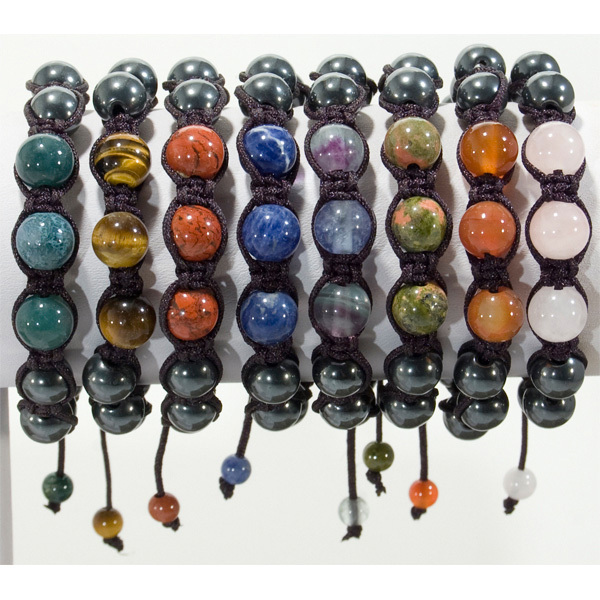 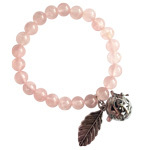 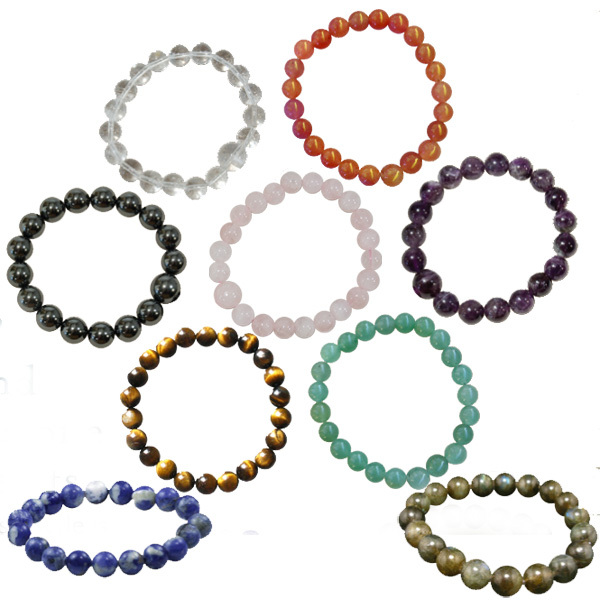 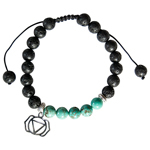 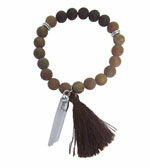 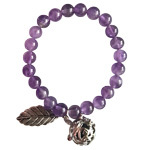 Round bead bracelets are comfortable to wear and compliment both masculine and feminine styles. 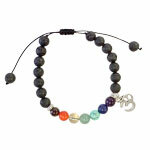 These bracelets are easy to mix and match with fashion and are made with stretch cord for an easy fit.